Want to go camping without the kids? This collection of adult-only campsites brings together all the best campsites and glamping sites where children aren't allowed. Peace, quiet and seclusion are guaranteed. So, whether it's the school holiday season or not, you needn't worry about children running wild. 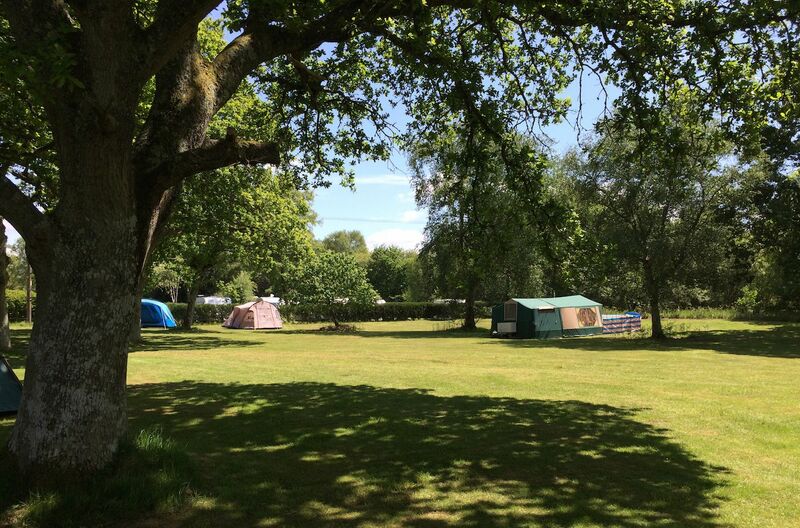 From secluded spots in Scotland to camping on the Cornish coast and from glamping in Welsh woodlands to pitches in the Garden of England, there’s bound to be an adult-only campsite to suit you. We’ve been on a mission to find the best adult-only campsites for those campers and glampers who want a peaceful place to relax away from the kids. We love family-friendly campsites but some of the best things about camping can be hard to find on them: seclusion, space and quiet. This is where adults only sites come into their own and if these are the things you’re looking for from a camping holiday, then you’ve come to the right place. We’ve found camping and glamping sites in the UK and Europe where adults rule the roost. Whether you’re looking for a bit of solitude, a romantic break or a place for a group getaway, these sites should be right up your street. And if you’re a parent who’s got a weekend away from the children, an adults-only site can be even more of a blessing. You’re more likely to wake to the sound of birdsong than a baby crying and you can enjoy siting around the campfire without fear of waking the kids – yours or those belonging to someone else! There are adults-only campsites the length and breadth of the UK and Europe so wherever you fancy visiting on your next adults-only camping holiday, with our help you should find a spot. There are campsites that cater just for grown-ups from Scotland to the south, Wales to East Anglia, and they take all forms too. Whether your idea of camping heaven is a woodland campsite with campfires allowed or a beachside retreat with a sea view, we reckon you’ll find something you like the look of among the special sites we’ve found. Just don’t tell the kids! There’s a sense of freedom and adventure that comes with pitching your own tent – whether it’s a teeny-tiny one-manner that you’ve carried in your backpack or a spacious tent with an awning and all the camping mod cons you can think of. 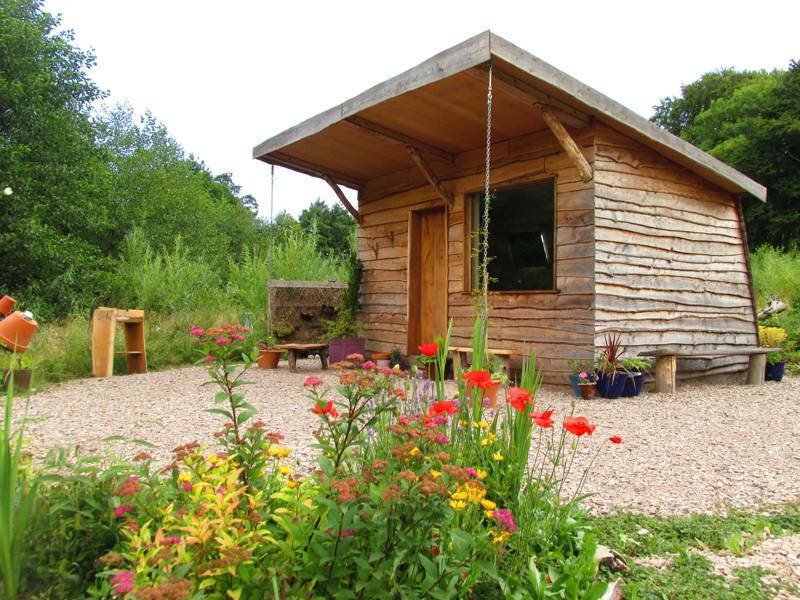 There are adults-only sites to accommodate you, whichever style of camping you go in for: places where there’s little more than a composting loo and a water tap for facilities and places where electric hook-up and manicured lawns will help provide your own home-from-home. The joy of back-to-basics tent camping, apart from that sense of freedom we mentioned, is in your proximity to the natural world. With only canvas separating you from the scenery that you’ve come to enjoy, you can relax to the gentle pitter-patter of rain or the sound of birds singing in the trees. On an adults-only site, these sounds of the great outdoors are likely to be undisturbed by little feet and loud voices wandering by on their way to the loos. 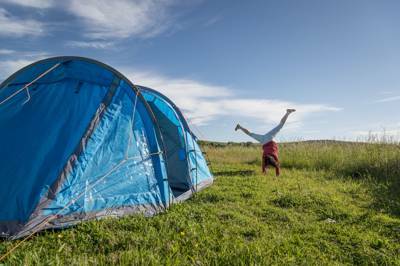 Tent camping is, of course, usually great value too – which makes it a good option for parents who are getting away on a budget and saving the pennies for the annual family getaway. Parents who love camping might also appreciate the chance to remember how easy it is without the kids: no questioning of “are we nearly there yet?” on the way to site, no well-intentioned attempts to help put the tent together, no midnight trips to the toilet to chaperone – just pure camping bliss with no one to look after but yourself. Parents who’ve got a “weekend off” might also like the sound of being looked after and pampered for a change – and why not? There’s little doubt you deserve it and a spot of adults-only glamping ticks the boxes. You can enjoy the freedom, the great outdoors and the great locations of campsites but without having to set up. You can just turn up and flop in to a deckchair and let the holiday commence. The level of luxury and pampering will be up to you. 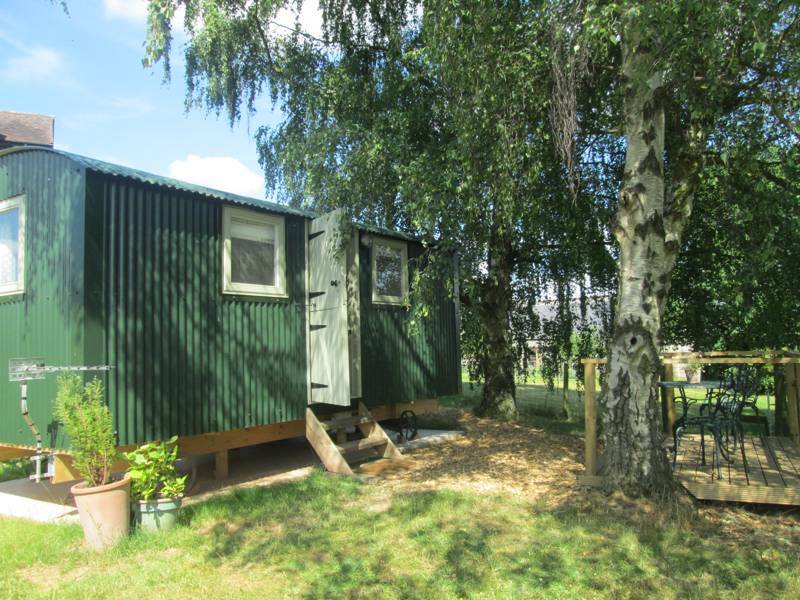 You might want to choose a simple bell tent to avoid pitching your own tent or you might want to go the whole hog and choose glamping accommodation that offers something more in the way of luxury: a yurt, shepherd’s hut or even a treehouse with a hot tub and massage therapist on hand to ease those aches and pains. There are plenty of adults-only glamping sites out there with all manner of glamping accommodation. And some of the best and most luxurious tents, huts and cabins have been reserved just for adults who are likely to have a greater appreciation for the comfort of a proper bed, the convenience of cooking facilities and the little luxuries that make some glamping sites stand out from the rest. 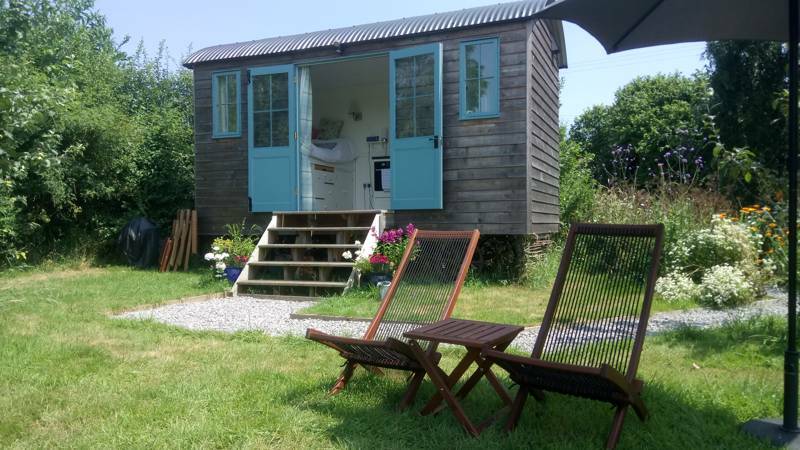 While a night in a hotel may be the epitome of romance for some people, here at Cool Camping we think that it’s got nothing on a camping or glamping stay for two. Stay on a campsite where campfires are allowed and you can cosy up round the fire, toasting marshmallows and gazing at the stars. Choose a cute little gypsy caravan or shepherd’s hut with a log burner and you can enjoy a glass of wine with warmth and an amber glow. On an off-grid site, it’s not just meals that will be candlelit, but whole evenings and you don’t need to buy a bunch of flowers when there are hedgerows and meadows full of them. Away from the distractions of TVs, computers and (dare we say it) kids, try switching off the mobile phone to enjoy conversation and company as a couple – what could be more romantic than that? Whether you prefer to stay in your own tent or go in for glamping, there are plenty of adult-only camping and glamping sites with a romantic edge. Look out for places where pitches are few and far between: there’s nothing like a bit of seclusion and space to make it feel like it’s just the two of you. There’s something special about camping and glamping with campfires allowed. Staying up late, chatting around the campfire and toasting marshmallows in the flames… these things never get dull. The primeval urge to make fire is reignited (pardon the pun) when you arrive on a campsite where campfires are allowed and just getting it going can be an activity in itself. Why not take the chance to test your survival skills and attempt it with no matches or lighter? Once you’ve proved your bushcraft skills and harnessed your early human instincts to get your campfire going, it’ll be time to get cracking with the campfire cooking – assuming you relish the thought of cooking on an open fire, like we do. If not, push the grill aside and simply enjoy the warmth while tucking in to something you made earlier! If you’re in a group, by yourself or with just one other, the campfire can provide hours of entertainment and simple pleasure: a mesmerising focal point while you put the world to rights and forget the modern world. It’s not only adults who love a campfire of course and there are plenty of family-friendly sites with campfires allowed but on an adults-only site with campfires, you don’t have to worry about waking the kids and safety concerns are reduced when there are no tiny tots toddling about. 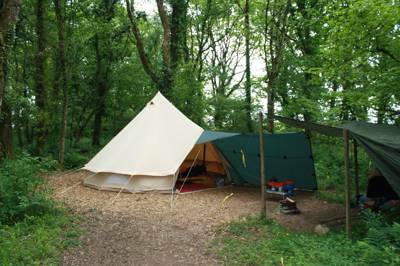 Cornwall, Pembrokeshire, the Lake District… all are great destinations for camping whether you go as a family or on an adult-only camping trip but each offers a different experience if you go with only grown-ups. While Cornwall’s beaches make it a great place for a family-friendly holiday, it’s also a great place for serious surfers and watersports enthusiasts. Devon and the Pembrokeshire coast are great places for adults-only holidays for the same reason: somewhere for those who want to dedicate time to their sport or to learning new skills regardless of early morning starts dictated by the tides. The Pembrokeshire coast also offers the perfect terrain for long walks with its famous coastal path stretching 186 miles along the coast. Tackling the whole thing and camping at sites along the route makes an unforgettable holiday. If that sounds a bit beyond you, you can still enjoy a walking holiday tackling stretches at a time from your campsite base. Anywhere with long-distance walking and adventurous activity is great for an adult-only camping holiday: think hiking, climbing and mountain-biking in Snowdonia, the Lake District and the Peak District. Head for the Lake District to scale the dizzy heights of Scafell Pike, go to Snowdonia to whizz down the fastest zip line in the world or get your climbing gear out to head up Stanage Edge in the Peak District. The Peak District is not only great for an adventurous adult-only camping holiday though. 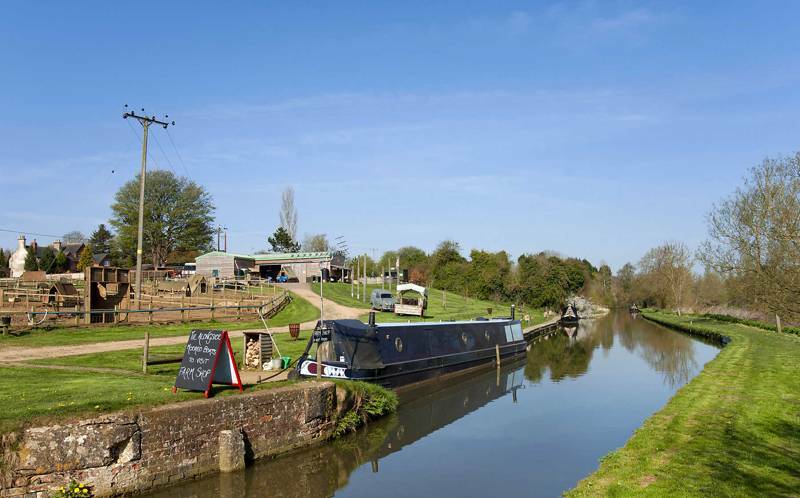 There are plenty of places to visit on days out from your campsite – some of which you might just enjoy a little more as a grown up. Historic houses and gardens are a classic example of attractions you might want to camp near. The Peak District has many – including the acres of grounds and gardens at the magnificent Chatsworth House, which can easily take a whole day to explore. Northumberland, with its 70 castle sites, fortified towns and Hadrian’s Wall is another place that’s great for history buffs. In fact, anywhere with historic sites that you want to spend time exploring makes a great base for an adult-only camping holiday. It’s a similar story for nature reserves and wildlife hotspots where you might need to hang out in a hide exercising powers of patience in order to be rewarded with spotting a rare bird or a shy animal. 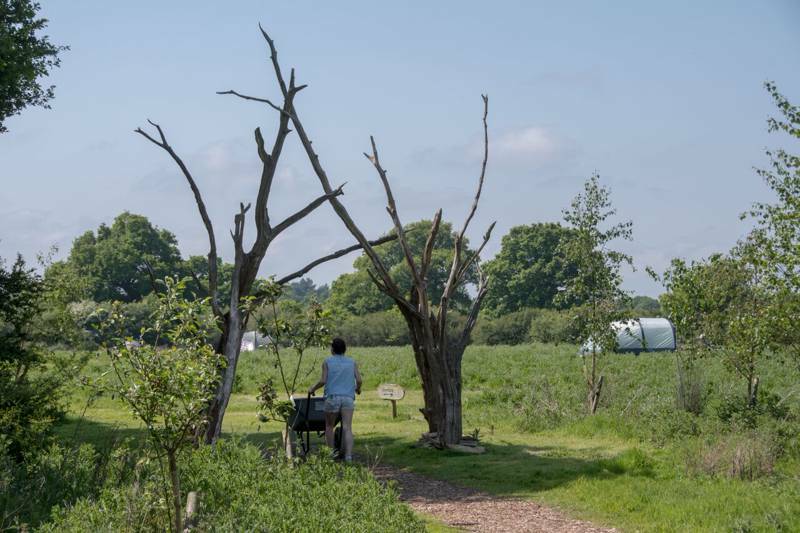 Choose adult-only camping in the New Forest if you want to spot deer, go to the Norfolk coast to see seals or perhaps pitch up in Suffolk for birdwatching at RSPB Minsmere. Over the Channel in France how about camping in the Loire Valley whose beauty lies in its historic sites and vineyards? Of course, the French landscape is dominated by vineyards in many places and not only does camping near them give you the chance to visit vineyards and follow wine routes, but offers beautiful scenery as a backdrop to your camping or glamping holiday too. Back in Blighty Kent, East and West Sussex are becoming well-known for their wines and visiting a vineyard for a tour and tasting can be a great day out – for grown-ups at least. 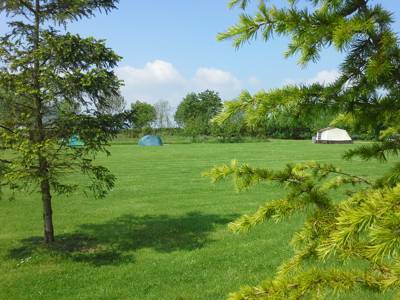 Adult Only Campsites adults no children at Adult Only Campsites, Want to go camping without the kids? This collection of adult-only campsites brings together all the best campsites and glamping sites where children aren't allowed. Peace, quiet and seclusion are guaranteed. So, whether it's the school holiday season or not, you needn't worry about children running wild. Browse the best sites below and book your break online today.